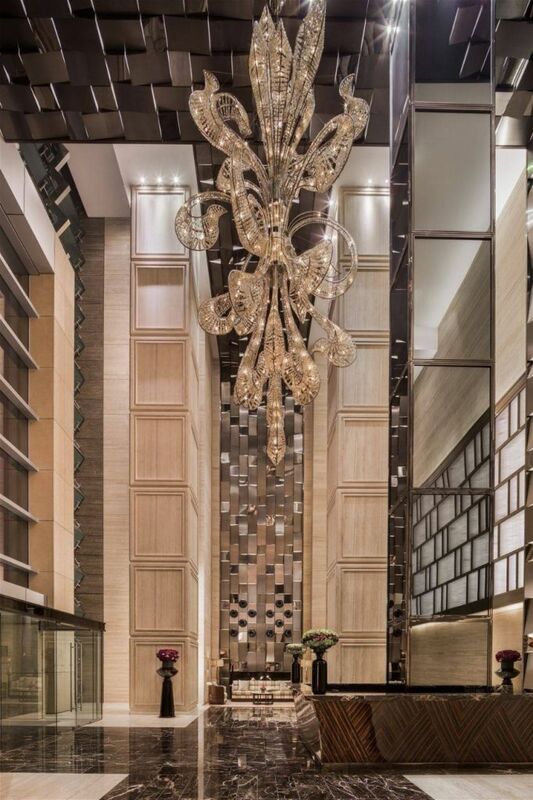 The residential building is in a complex called ICC Shanghai, together with iAPM Mall. 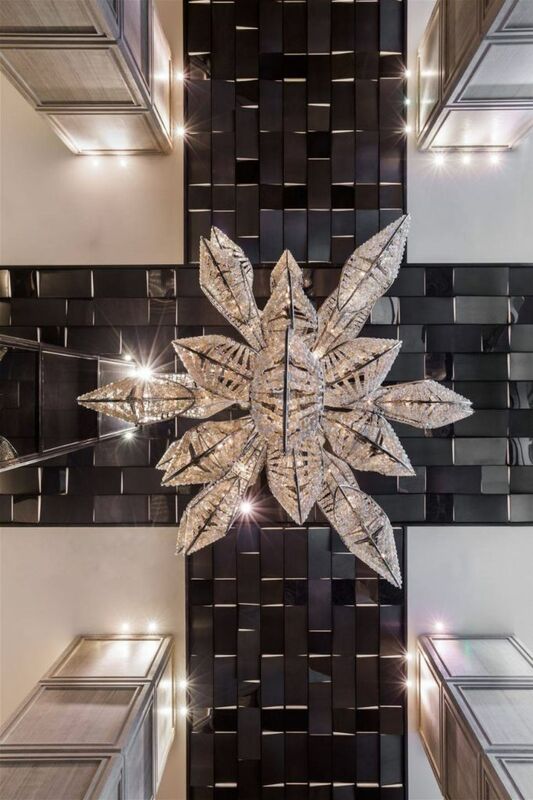 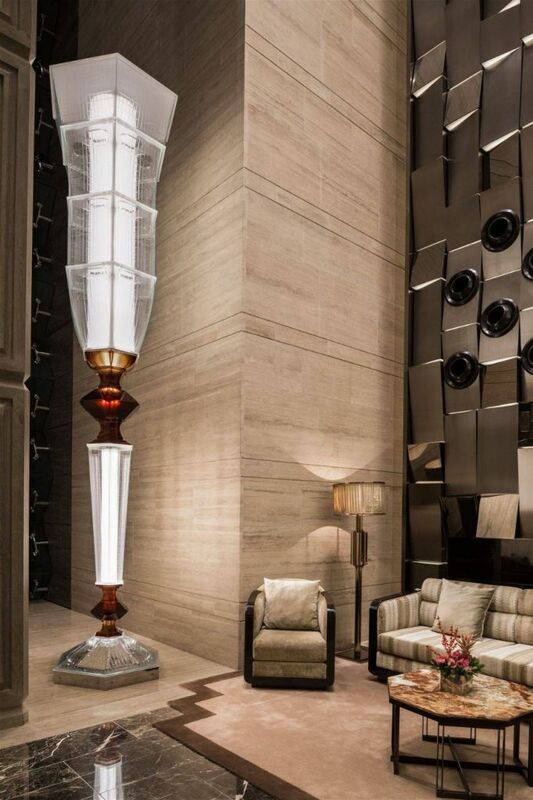 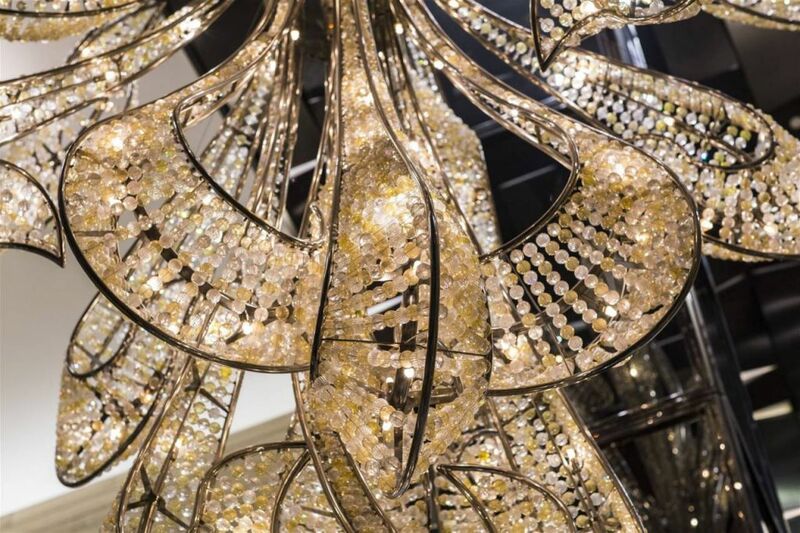 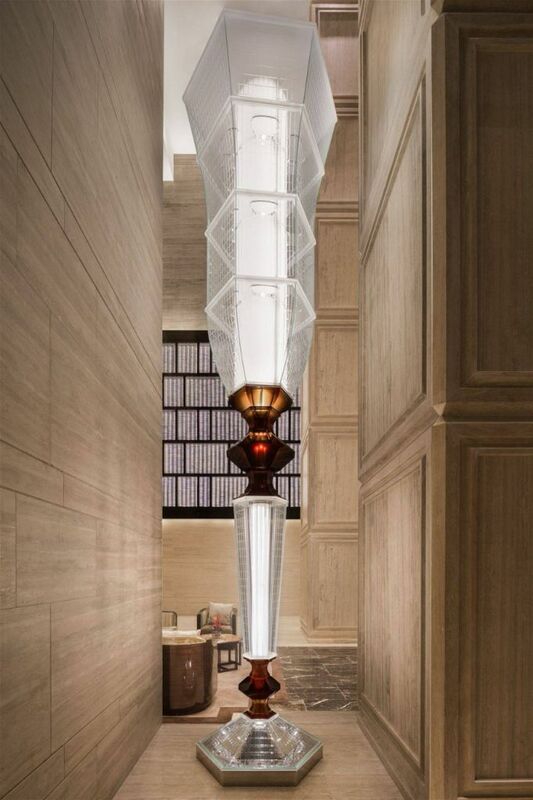 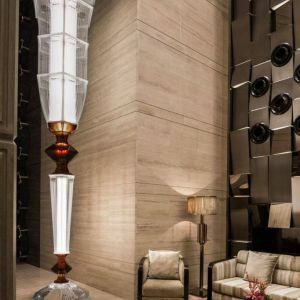 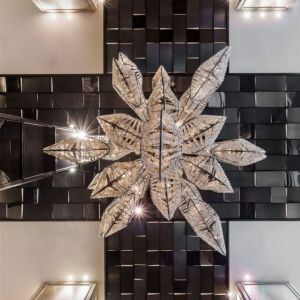 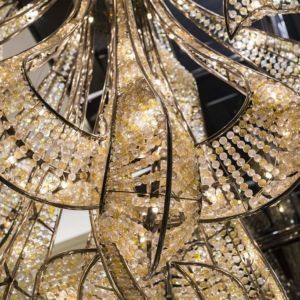 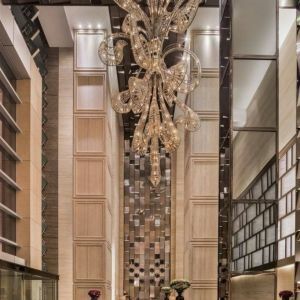 PRECIOSA Lighting, in collaboration with Hong Kong based Sun Hung Kai Properties, produced two extraordinary lighting objects for the entrance lobby, including one of the world’s largest crystal goblets. 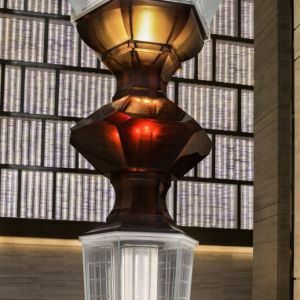 To ensure safety, the fabrication of the 5,5-meter goblet required the application of many of the same engineering principles used in the construction of skyscrapers. 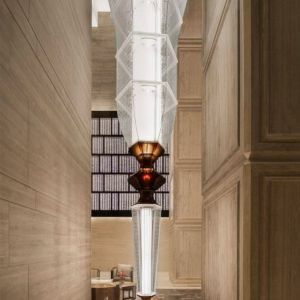 The visually astonishing goblet is wholly formed from hand- warped crystal glass plates enhanced with amber glass segments, each weighing more than 15 kg. 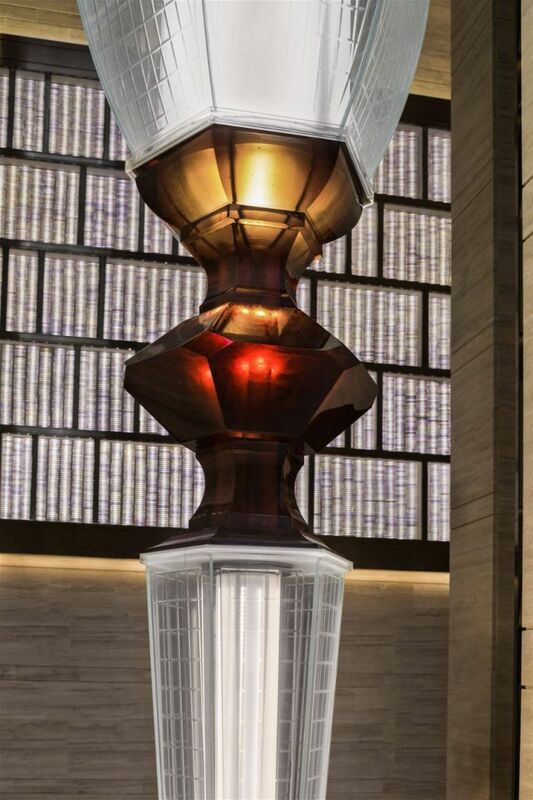 To create a shining dazzling effect, the upper part of the goblet is illuminated with LED strips in internal tubes.